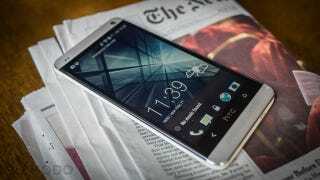 HTC has announced that it made just $2.8 million in the first three months of 2013, which Bloomberg claims is its slimmest profit on record. The company generated around $1.4 billion in revenue, which is well down on last year, when it churned over $2.2 billion. More embarrassingly, last year it made a profit of $470 million on that figure—that's 167 times more than this year. The latest in a series of poor earnings reports, the news will be a disappointment to investors who had hoped the new One handset could reverse the manufacturer's woes. Sadly, delays meant that the One had only arrived in three—as opposed to the desire eighty—countries by the end of March. On the plus side, that means earnings from the new phone should prop up the company's accounts next quarter, and the First Facebook phone should also help things along.